We are a core group, sixty to seventy volunteers, filling many positions in every phase of rescue mission service. We are seven paid staff members working in different areas of Christian ministry to ensure that needs are met. We are the donors who support the ministry with our finances and donations of food, furniture, clothing, and much more. We are the Good Samaritan, the bearer of a cup of water, living water for a lost and dying world. We are a team working together to meet the needs of all who come to us for help. All of us together are meeting the needs of “The Least of These”. Our team has years of experience in working with our homeless population across the nation. Our Christ centered approach to serving the homeless has been life changing for many of our residents over the years. By way of the TentMakers Program we are providing innovative work solutions for residents and guests of the Mission. We demonstrate the love of Jesus Christ to the homeless of our city through addressing their physical, emotional and spiritual needs. We serve the less fortunate through donations from individuals, churches, civic organizations and merchants. We neither solicit or require government support. We work to fill the hole in the soul as we provide for the holes in people’s stomachs. Hunger, homelessness and poverty are the symptoms. Hurry up! Contact us today and schedule a time to volunteer. We love it when you volunteer! We provide shelter for as many as one hundred and twenty of our homeless population on a daily basis. Our food kitchen provides a hearty breakfast, lunch and dinner every day of the year to both residents and guests. Our mission clothing room provides free clothes to anyone in need on Mondays, Wednesdays and Fridays. 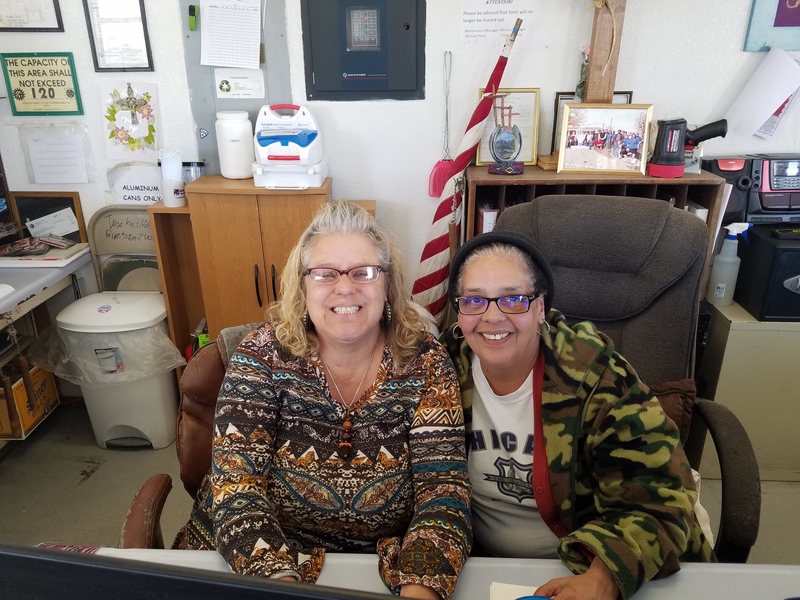 As part of the TentMaker Program we are in the process of providing paying jobs to both residents and guests of the mission. Chapel services are available to residents, guest and anyone from the community who wants to attend seven days a week. Our thrift store is open to the public six days a week and carries a wide variety of used clothing, furniture and accessories. Henry is both Executive Director and Chaplain for the mission. He has extensive experience in working with the homeless and is known for his compassion and dedication to their well being. Steve has owned and managed numerous businesses over the last forty years. He joined our staff in December and will be our new Director of Mission Industries. Charles has worked here at the mission for over ten years and does a great job of overseeing all of our mission facilities. Evelyn has served God and the Mission for over ten years and is a true testimony to the grace of God. Her work at the mission has truly been outstanding. All guests are welcomed to the Mission and their personal information is entered into our system. They then enter into a brief orientation period. Guests are then provided with clothing and food if they need it. Qualified guests are then checked into the shelter and provided with a shower and a bed. Guest are then offered the opportunity to join our TentMakers Program. Upon entering the program they will begin job skills training. Upon graduation guests then have the option of working for one of several of our Mission owned businesses or other businesses in the area. When they feel they are ready guests can then move out of the Mission into their own housing while they continue to work for the Mission. When you send us a message you can be sure we will get back in touch with you as quickly as possible. Thank you.